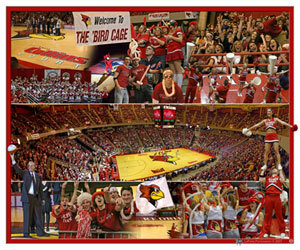 Illinois State Basketball Fan Composite. Inaugural game at Doug Collins Court. 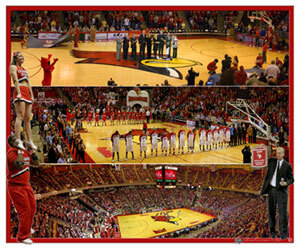 Redbird Arena @ ISU during National Anthem. Doug Collins Court Recognition Ceremony Panorama.